Posted on 21, December 2018 by EuropaWire PR Editors | This entry was posted in Italy, Marketing, Media, Sports, Switzerland and tagged CEO, Infront Italy, Jean Thomas Sauerwein, Lega Serie A, Luigi De Siervo, Media, Philippe Blatter, sports. Bookmark the permalink. MILAN/ZUG, 21-Dec-2018 — /EuropaWire/ — Luigi De Siervo, President & CEO of Infront Italy, has been appointed CEO of Italian football league Lega Serie A at their General Assembly on Thursday. De Siervo will be leaving Infront to take up his new role in the top flight of Italian football in due time. 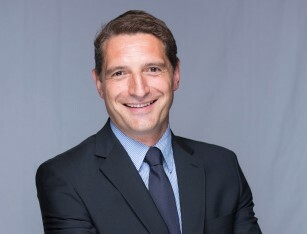 Infront Italy’s General Manager Jean Thomas Sauerwein will lead Infront’s Italian subsidiary ad interim. Infront will ensure continuity in the existing strategy of expansion and diversification. Its partners and clients will continue to be supported by the same team that has accomplished significant milestones to date. Prior to joining Infront in June 2016, De Siervo was CEO of Rai Com SpA, a subsidiary of the Italian public service broadcaster RAI. Infront is a leading sports marketing company managing a comprehensive portfolio of top properties. Infront covers all aspects of successful sporting events, including the distribution of media rights, sponsorship, media production, event operation and digital solutions. Headquartered in Zug, Switzerland, Infront has a team of more than 1,000 staff working from 39 offices across more than 14 countries, delivering 4,100 event days of top class sport around the world every year.